At Docklands Dental Studio, we want your teeth and gums to stay healthy, so you can keep your smile beautiful and strong for life. Unfortunately, gingivitis and periodontitis (gum disease) are common conditions, with millions of people affected. Since gum disease can damage mouths with perfectly healthy teeth, many people are not aware they suffer from the condition until they experience advanced stages of infection. The possibility that you may have gum disease, and be wholly unaware of it, is especially frightening when you consider that gum disease is the number one cause of tooth loss. If you are due for a dental check-up and cleaning, we will assess your periodontal health as part of our comprehensive oral health care. Contact us today at (03) 9021 9487 to schedule an appointment. Swollen or Bleeding Gums – If your gums frequently become inflamed or painful and swollen, seemingly with little reason, you may already have gingivitis or periodontitis. Additionally, blood on your toothbrush or spit after brushing may be a sign of infected gums. 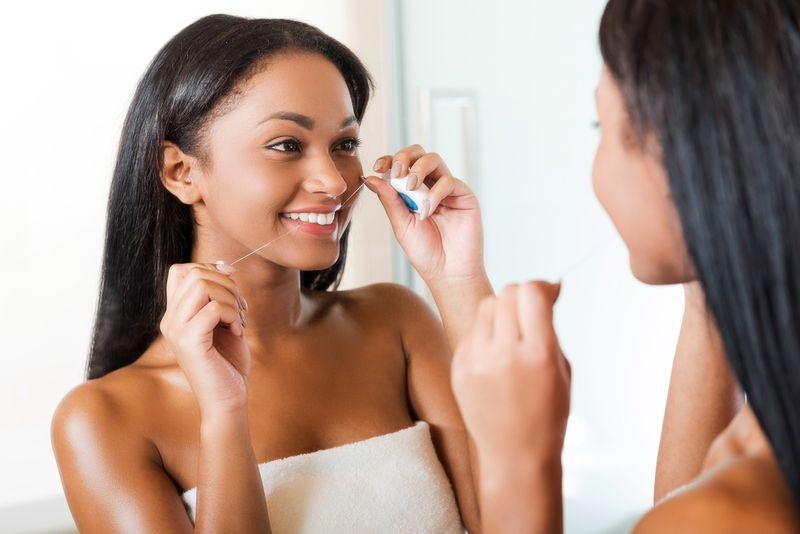 Sometimes patients claim they do not floss daily because it causes their teeth to bleed—but in actuality, daily flossing is the best way to make your gums healthy again. If you experience bleeding when you floss, try flossing every day, despite the blood, and within two weeks it should come to a stop. If it does not, contact Docklands Dental Studio as soon as possible, as you may need periodontal treatments. Receding Gums or a Feeling of Loose Teeth – Bacteria can cause gum tissue to die, starting in the area where they attach to the teeth, called the gum line. When this has happened, your teeth will start to look “longer,” and you may notice a yellowish colour on your newly exposed tooth roots, which do not have the natural resistance to stains and bacteria that your enamel-coated crowns have. You may also have a feeling of looseness in certain teeth, as though you can shift them slightly by applying pressure with your tongue or finger. Any unusual sensation deep in the roots of your teeth may indicate changes caused by gum disease. Sensitive Teeth or Pain When Chewing – Although sensitivity to hot and cold foods does not always indicate gum disease, it is frequently a symptom. As mentioned before, the roots of your teeth lack enamel and therefore have exposed dentin, which is very sensitive to temperature and pressure (even wind can irritate). You may also feel pain when chewing if you have gum disease. When gums recede, the ligaments that attach to your roots become stressed by movement, which can cause discomfort. Bad Breath – If you notice a recurring bad taste or odor, periodontal bacteria may be the cause. If this bad taste returns during the day, even after brushing your teeth, it may be an indicator of periodontal disease. Gum disease is caused by bacteria, which can lodge under the gum line and in other spots in the mouth, causing damage to gum, tooth, and bone tissues. Good oral hygiene is the best way to prevent the onset of gum disease, specifically brushing twice a day and flossing once per day. Avoiding tobacco products and excessive alcohol consumption are also critical to preventing gum disease. When we maintain good oral health habits, we minimize the amount of bacteria that live in our mouths. In addition to home care, professional dental cleanings can prevent gum disease by removing calcified plaque (tartar), which is the preferred food of mouth bacteria. Good self-care and dental cleanings are not always enough, however. Hormonal changes, systemic illnesses, certain medications, and genetic factors can also lead to gum irritation and gum disease. When bacteria proliferate, they cause periodontal pockets to form under the gum line, which erode gum tissue and make the roots of your teeth vulnerable. As gum tissue recedes, teeth become looser and more susceptible to deep cavities, as exposed roots have no protective enamel. 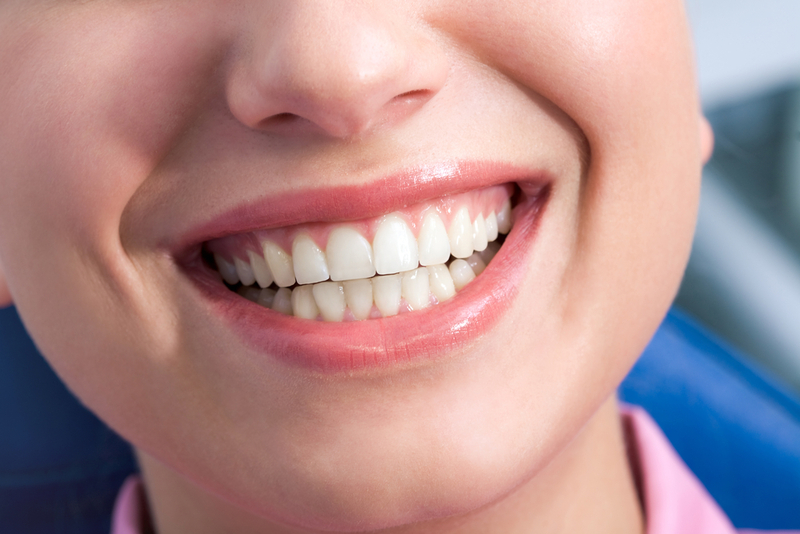 If gum disease is allowed to progress without treatment, tooth loss is an inevitable outcome. If the prospect of losing your teeth is not warning enough, recent medical research has also found that the bacteria that cause gum disease have been linked to a number of other serious illnesses. When gums bleed, bacteria can enter the blood stream and travel to other parts of the body and cause or exacerbate conditions such as diabetes, heart arrhythmia, cancer, rheumatoid arthritis, and more. Gum disease is a term that describes both periodontitis and its precursor, gingivitis. In its earlier stage of gingivitis, gum disease can actually be reversed with dental treatments and good self-care. When gum disease progresses to periodontitis, however, it becomes a chronic condition which must be treated with medication, treatments such as scaling and root planing, or oral surgery. These treatments do not cure periodontitis, but along with vigilant oral hygiene routines, they can control the symptoms, enough to make sure your gums and teeth stay healthy and functional. If you would like a dental examination and periodontal wellness check, contact us today at (03) 9021 9487 to schedule a consultation with one of our dentists at Docklands Dental Studio.